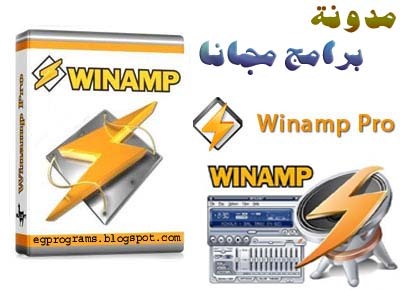 برنامج Winamp 5.622 Build 3189 بنسخته " Full "
برنامج Winamp 5.622 Build 3189 بنسختة " Full "
برنامج اساسى لا غنى عنه لاى جهاز وينصح به دائما وابدا . is a fast, flexible, high-fidelity media player for Windows. Winamp supports playback of many audio (MP3, OGG, AAC, WAV, MOD, XM, S3M, IT, MIDI, etc) and video types (AVI, ASF, MPEG, NSV), custom appearances called skins (supporting both classic Winamp 1.x/2.x skins and Winamp 3 freeform skins), audio visualization and audio effect plug-ins (including two industry dominating visualization plug-ins), an advanced media library, Internet radio and TV support, CD ripping, and CD burning.